Call Out to Artists – Why do You Make Art? 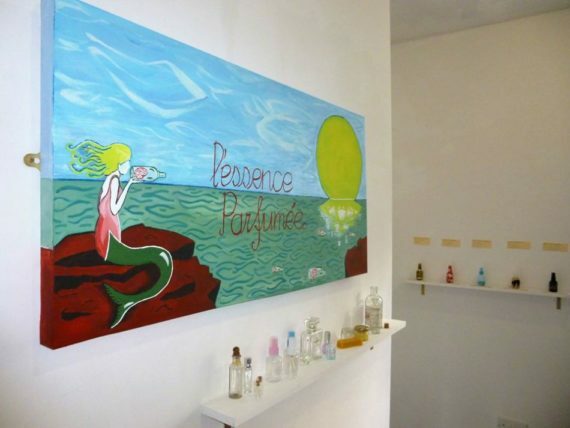 My upcoming solo exhibition at Surface Gallery, Nottingham, will see me exhibit 20 perfumes. Each perfume will be a portrait of another artist, achieved through an established process that begins by asking artists the question ‘why do you make art?’ Then, through a method of intuition and investigation, I choose relevant and meaningful oils based on the answer received in order to create a fragrance that captures the essence of who you are. The call out works on a first-come-first-served basis. But if I do already have 20 artists by the time you submit your response don’t worry – I’ll use it for one of my solo shows coming up in 2018. Looking forward to reading your responses and getting to work creating wonderful fragrances! Perfume as Practice will run at Surface Gallery from 3rd – 18th November 2017. 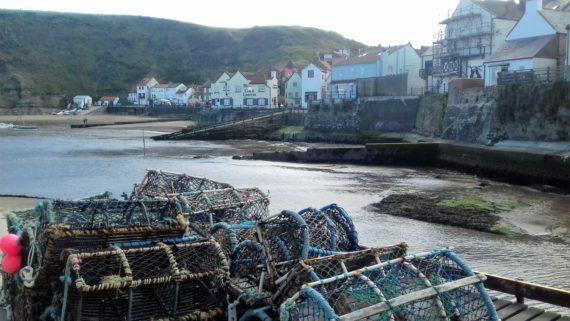 Last week I had a holiday along the North Yorkshire Coast, taking in Whitby, Staithes and Robin Hood’s Bay. I didn’t get any work done but, as is the way with these things, I did draw in a little inspiration from my surroundings and experiences. Chiefly, I re-considered the processes and functions that drive artists to work on the coast. I had an idea a few months ago to limit my perfume portraits to artists that work on the coast in order to reveal the collective and personal thoughts and inspirations shared between artists and their communities. This may be something I wish to revisit next summer as the environmental, economic and social differences that exist between the coast and inland is tangible, and as such artists occupy them differently. Also of note is the notion of the Hand of Glory and the powers attributed therein. A Hand of Glory for those who don’t know is a pickled hand of a man who has been hanged which has subsequently been combined with a candle made from his fat. A Hand of Glory is also primed with various beliefs and legends, including the ability to unlock any door and the power to render people motionless. As gruesome as it all sounds I believe it can be utilised in my own practice – particularly within candle making. 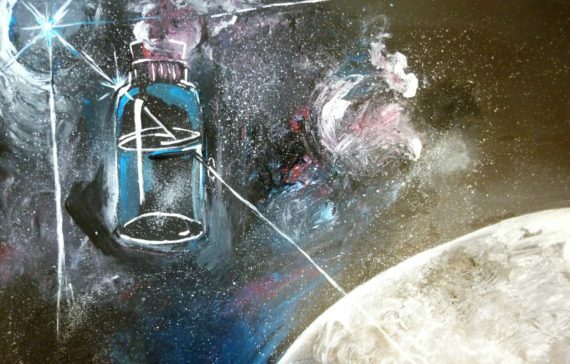 Primarily, the historical and mythical contexts Hands of Glory are placed in can be re-imagined and re-evaluated within a fine art platform. It certainly presents another way considering the possibilities of candle making and the capacity candles have for storytelling. Food for thought, then, certainly. But my holiday also afforded me the energy required to complete the reminder of this year’s creative endeavours. So let’s have it! The aim of Alternative Portraits is to both investigate and celebrate innovative depictions of portraits, as well as provide a platform for artists who approach portraiture in a fresh and challenging way. My perfumed self portrait captures the essence of my artist persona, and again highlights the capacity scent has for portraiture and, by extension, contemporary art. 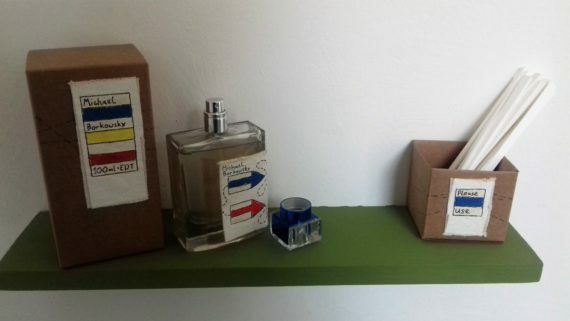 This alternative way assessing and responding to scent hopefully informs our knowledge of what scent can be, but either way it certainly befits the exhibition it is currently in: Alternative Portraits represents artists from around the UK and is open at Access Space, Sheffield, until 4th October. The poison bible presents empty vials, a pipette and 2 perfumes; one containing subtle florals and musks that describe an introvert and the other containing punchy, sharp citrus notes aptly describing an extrovert. As the introvert and extrovert dynamic is a continuum, then theoretically one may create a perfume describing any given individual by decanting relevant measures of each fragrance into the empty vials using the pipette provided. 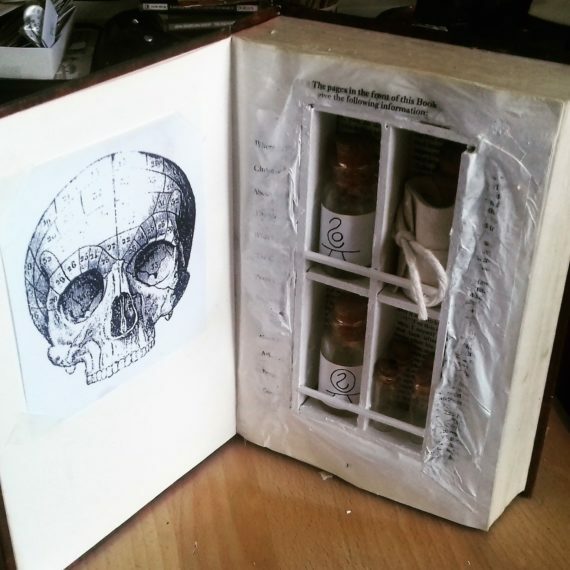 This poison bible is a primitive, immature and simple solution to creating perfume portraits. As such, it can be read as a solid foundation and form of reference that has informed my subsequent, more complex perfume making practices. This is how I want it to be perceived by an audience – as a tool that I refer to and as a work of art in its own right. And just one of many items that contribute to both my creative processes and to the perceived authenticity of my residency space.